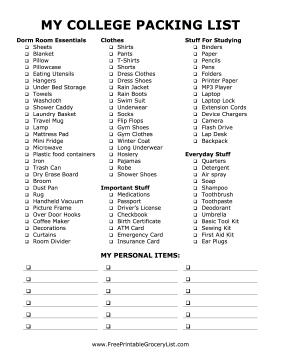 This college packing list is just the thing to get a freshman ready for his or her first year at school. What do you need for your dorm? What kind of clothes will you need? This list will help guide you through the terror that is shopping for college.